Rubin “Hurricane” Carter, a star prizefighter whose career was cut short by a murder conviction in New Jersey and who became an international cause célèbre while imprisoned for 19 years before the charges against him were dismissed, died Sunday morning at his home in Toronto. He was 76. The cause of death was prostate cancer, his friend and onetime co-defendant, John Artis, said. Carter was being treated in Toronto, where he had founded a nonprofit organization, Innocence International, to work to free prisoners it considered wrongly convicted. Carter was convicted twice on the same charges of fatally shooting two men and a woman in a Paterson, N.J., tavern in 1966. But both jury verdicts were overturned on different grounds of prosecutorial misconduct. The legal battles consumed scores of hearings involving recanted testimony, suppressed evidence, allegations of prosecutorial racial bias – Carter was black and the shooting victims were white – and a failed prosecution appeal to the U.S. Supreme Court to reinstate the convictions. Carter first became famous as a ferocious, charismatic, crowd-pleasing boxer who was known for his shaved head, goatee, glowering visage and devastating left hook. He narrowly lost a fight for the middleweight championship in 1964. “They can incarcerate my body but never my mind,” Carter told the New York Times in 1977, shortly after his second conviction. Rubin Carter enlisted in the Army and became a paratrooper in the 101st Airborne Division in Germany, and put on boxing gloves for the first time. He found he enjoyed associating with boxers. 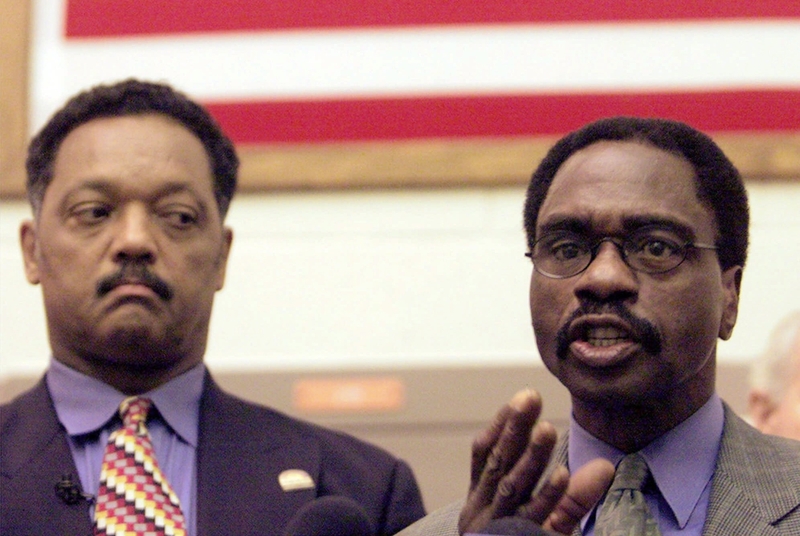 Carter founded Innocence International in 2004 and lectured about inequities in America’s criminal-justice system. In 2011, he published an autobiography, “Eye of the Hurricane: My Path From Darkness to Freedom,” written with Ken Klonsky and with a foreword by Nelson Mandela. In his last weeks, he campaigned for the exoneration of David McCallum, a Brooklyn man who has been in prison since 1985 on murder charges. In an opinion article published by the Daily News on Feb. 21, headlined “Hurricane Carter’s Dying Wish,” he asked that McCallum “be granted a full hearing” by Brooklyn’s new district attorney, Kenneth P. Thompson. “Just as my own verdict ‘was predicated on racism rather than reason and on concealment rather than disclosure,’ as Sarokin wrote, so too was McCallum’s,” Carter wrote.